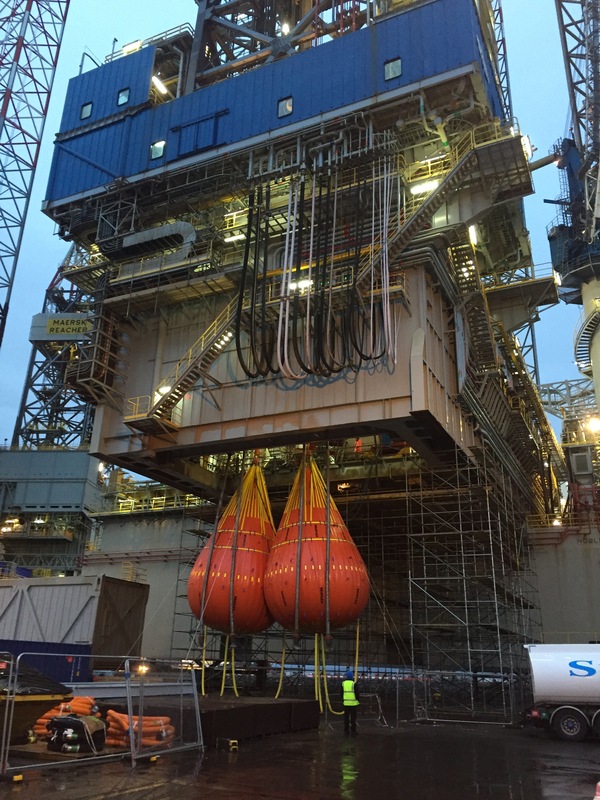 Unique Group’s Seaflex 100t WaterLoad™ bag has been rolled out into its Buoyancy & Ballast division’s UK and Europe rental pool. Already part of the Middle Eastern rental pool, and stocked at Unique Group in Sharjah, UAE, the bags are now available to customers worldwide from the Group’s multiple global service centres. The two new units have recently been sent to Unique Group’s Aberdeen base for use on a test up in Invergordon, as pictured, and as more come off the production line, they will become available for hire projects throughout Europe. With a track record spanning nearly 20 years and taking in many of the biggest worldwide names in lifting, load-testing and inspection, the Seaflex WaterLoad™ range of crane testing weights comes in a range of capacities from 1t to 100t – enabling them to be used singly or in clusters of up to 300t from a single hook. Multiple clusters can be utilised for larger test loads. Smaller versions of these water weights have also been developed by Seaflex for the proof test of lifeboats, gangways and other load-bearing structures. This size of waterbag offers significant efficiency benefits for testing in the hundreds of tons, massively reducing rigging time and complexity. But it can also make for much easier testing in the range from 50-100t: the ability to pick a single bag up on the hook straight out of its dedicated crate and part-fill until the load cell shows that the required capacity has been achieved making for much more efficient testing at this end of the spectrum compared to rigging up multiple smaller waterbags. For more information about hiring these bags in Scotland, please call our Dyce office on +44 (0)1224 723742. For the rest of the UK and Europe please call the Unique Seaflex factory in Cowes on +44 (0)1983 290525. For the Middle East region please call Unique Group on +971 6 513 0333.